I remember growing up eating chocolate covered banana’s. I still love anything that has chocolate and banana mixed together, which is probably why I came up with the Chocolate Covered Banana Smoothie. I really think this is one of my all-time favorite smoothies. I feel like I’m drinking dessert in a glass, when really I’m getting tons of nutrition. My kids think they are getting a special treat, which I love! They are actually getting fruits, protein and calcium. This shake is a win-win! I’m happy, kids are happy and life is good. This is also one of my favorite shakes to go to when I have a craving for something sweet. 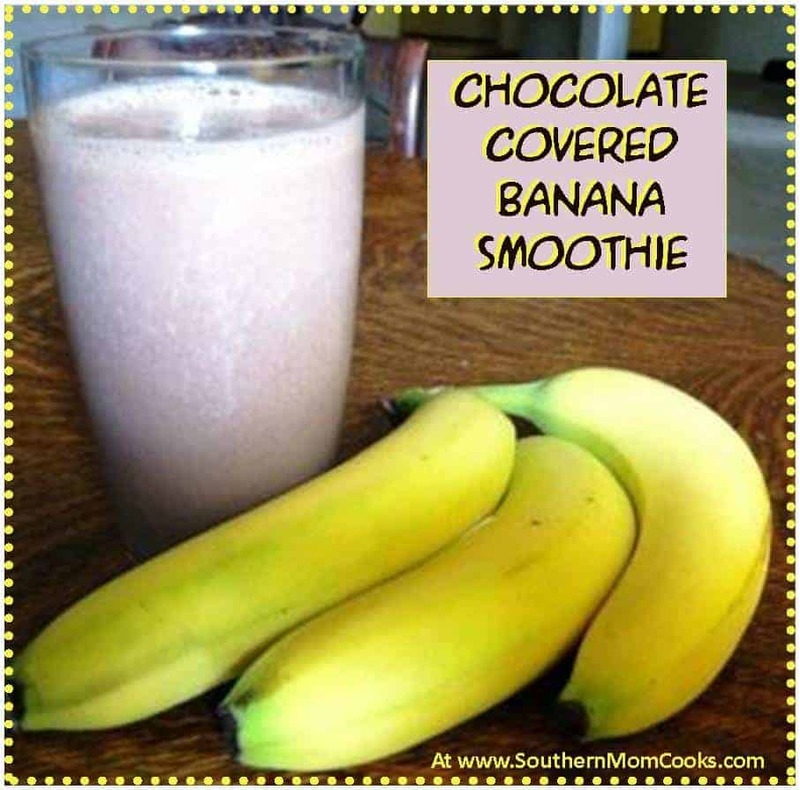 The chocolate and the banana really take care of any sweet tooth I might have. If your craving something a little more tropical I suggest the Orange Banana Yogurt Smoothie. This is another smoothie that I enjoy on hot summer days. I am quiet sure that I would enjoy this smoothie right now, it looks so good!! Hope you are having a great day and thanks so much for sharing your awesome post with us at Full Plate Thursday. What a great recipe! I’d love for you to share over at a new party called Let’s Party https://themarkandjanshow.com/2018/02/07/lets-party-7/ … we look forward to seeing you there! Heaven knows I need more healthy and yummy recipes like this for my kids. Haha. I like the idea of using the tofu! Thanks for sharing at the What’s for Dinner party – and have an awesome week!